Arsenal thumped Fulham 4-0 to secure direct qualification for the Champions League group phase next season. Arsenal thumped a much-changed Fulham side 4-0 at Emirates Stadium to secure direct qualification for the UEFA Champions League group phase next season. Fulham, with Wednesday's Europa League final against Atletico Madrid firmly on their mind, contributed to their own problems as the Gunners ensured they finished in third ahead of North London rivals Tottenham. Arsenal were gifted the lead on 21 minutes when Mark Schwarzer passed straight to Andrey Arshavin, who jinked past the Fulham keeper before squeezing in his shot at the near post from a narrow angle. The advantage was doubled just five minutes later when Theo Walcott got in behind a static Fulham defence and squared the ball to the unmarked Robin van Persie. The Dutchman saw his first attempt hit the bar via Schwarzer's legs before showing greater composure to tuck away the rebound. Walcott then saw a goal chalked off for offside before Fulham were the protagonists in their own downfall again on 37 minutes. A low cross from the right by Walcott deflected off a couple of defenders and was helped on by Emmanuel Eboue before Chris Baird stabbed the ball into his own net. World Cup hopeful Walcott dragged his shot wide instead of making it 4-0 before the break, while Van Persie struck the post from close range early in the second half after his initial effort had been blocked by Schwarzer. With six minutes to go, the Gunners signed off for the season in style with a sumptuous fourth goal as substitute Carlos Vela dinked the ball over Schwarzer after being slipped in by Samir Nasri. It was a low-key opening, before under-fire Arsenal keeper Lukasz Fabianski failed to collect a deep ball into the penalty area, which was hacked clear as Stefano Okaka looked to pounce. Van Persie's five-month injury absence was seen as a major factor in Arsenal failing to last the distance this season. The striker's curling free-kick from the right had Schwarzer backpedalling to tip the ball away. Fabianski drew some ironic applause from the Gunners faithful after, at the second attempt, he held onto a deep free-kick into the Arsenal six-yard box. It was, though, Schwarzer who would be embarrassed with an error on 21 minutes. The Australian failed to control a backpass from Baird, which gifted the ball to an alert Arshavin. The Russian dashed to the goal-line, dribbled around the keeper and - with Van Persie screaming for a tap-in - promptly slotted the ball in off John Pantsil at the near post. It was soon 2-0. Walcott - hoping to be in the England World Cup squad - beat the offside trap to latch onto Bacary Sagna's pass and dart into the right side of the penalty area. He squared for Van Persie, whose low drive cannoned off Schwarzer's legs and onto the bar, before the Dutchman blasted in the rebound. 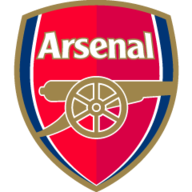 Arsenal made sure of victory ahead of half-time when, on 37 minutes, Eboue flicked on Walcott's low cross into the six-yard box, which - with Van Persie lurking - Baird directed into his own net. Walcott should have made it four when played in by another clever backheel from Eboue, but dragged his angled shot wide from 12 yards. At the other end, Okaka got ahead of Sol Campbell and into the Arsenal penalty box, but the ball would not fall for him as Fabianski cleared. Fulham made a change at the start of the second half, as David Elm replaced Bjorn Helge Riise. The Swedish striker almost had an instant impact as his low, 18-yard drive came back off the base of the post, but the offside flag was up. Van Persie went close when Eboue's cross picked him out in the Fulham six-yard box. Schwarzer redeemed himself with a smart reaction save, before the Arsenal striker then hit the rebound against the woodwork. There was a worrying moment for Fulham when Pantsil - who had just recovered from a serious knee injury - needed treatment after pulling up when kicking the ball clear. Fulham boss Roy Hodgson was taking no chances, and brought on Stephen Kelly after 56 minutes. Arsenal also had to make a change when Swiss international Johan Djourou - who had not played all season because of his knee problem - replaced Mikael Silvestre, the veteran defender, out of contract this summer, possibly making his last appearance for Arsenal. 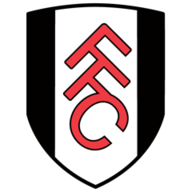 Fulham had a penalty claim waved away by referee Mike Jones when Campbell appeared to haul down Clint Dempsey as the ball was lofted into the Arsenal box. At the other end, Eboue was booked for diving after a sliding challenge from Kelly in the left corner of the box. Fabianski darted out of his area to close down Elm, but handled and also went into the referee's notebook. With six minutes left, substitute Vela made it 4-0 when he chipped Schwarzer after collecting Nasri's through ball before the Arsenal squad set off on a lap of appreciation after the final whistle of another season which promised so much, yet again failed to deliver a trophy.